Three more suspected illegal immigrants have been arrested at the Holiday Inn in Northamptonshire today after they walked into reception and tried to claim asylum. The three men, all from Sudan, walked into the hotel in Flore shortly after 10am this morning (Wednesday). Police were called to the scene and the three men were arrested and taken into custody. A police spokesman said three other suspected illegal immigrants were arrested and detained after they were spotted in Kislingbury at 11.20am. 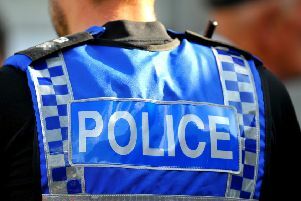 Earlier in the day, four other suspected illegal immigrants, two from Eritrea and two from Sudan, were arrested in the Swan Valley area of Northampton.